The first week of my own Fall Fresh Start Challenge went very well. I posted a challenge to myself to help get back into the groove of regular running and strength workouts. My goal was to get in 2 runs, 3 strength/core workouts, and 2 sessions of other physical activity for enjoyment. 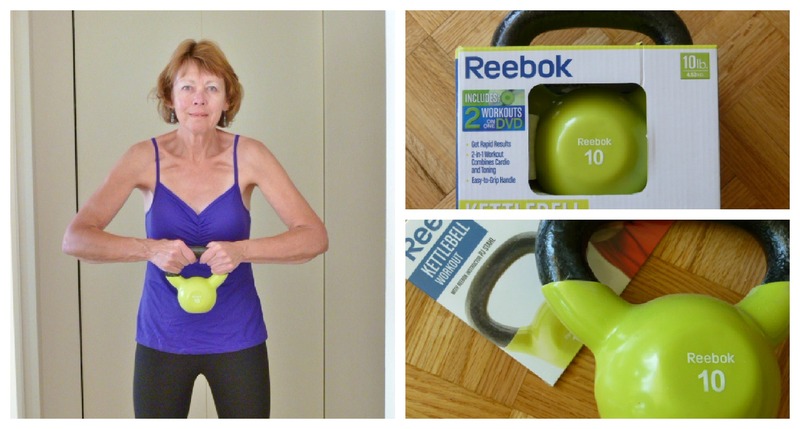 The kettlebell workout I have been doing is a beginner's workout on the DVD that came with my 10-pound Reebok kettlebell. The moves are very basic but intense and I love it ... there is a short plank workout during the warmup. Going into the second week, beginning today, my plan is to set the same goals: 2 runs, 3 strength/core workouts, and 2 sessions of other physical activity for enjoyment. I will change up the strength component this week and will likely choose those workouts just before I am ready to do them... but they will definitely contain a core element. Do you have any set goals for the week? Do you find setting workout goals helps keep you on track? Very impressive job this week Elle! Hope this next week is just as successful for you. great job, it looks like you did awesome and I totally understand accountability, I just posted the same thing! Great job! I love writing down my plan, it keeps me accountable too.